That’s right. Count them. 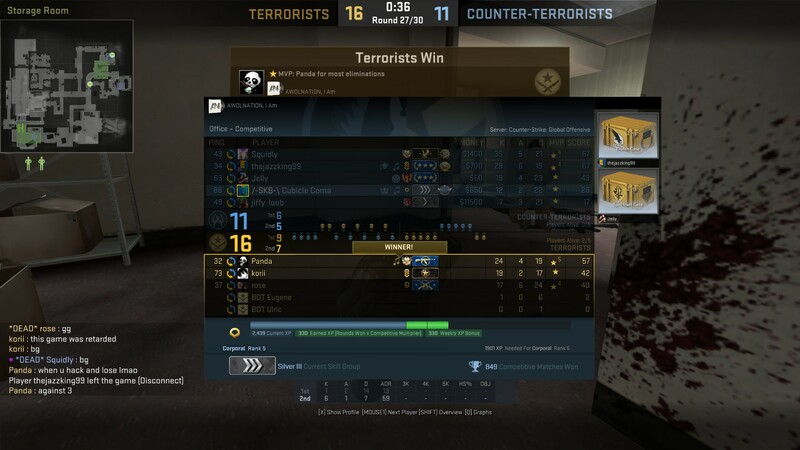 A difference of 14 ranks. I’ve never seen such a wide spread in a game that I joined as a solo. It wasn’t even an odd hour at night or anything that may have lead to slim pickings when it came to players. The wait time was a little longer but nothing ridiculous though. This entry was posted in Gaming Screenshots and tagged Counter-Strike: Global Offensive, CS:GO, Gaming Screenshots, Video Games. Bookmark the permalink.